Now we're getting down to the really hard choice. Bottom line: you couldn't go wrong with any of these three burgers. All are quite great, filling the bill no matter your preferred price point. 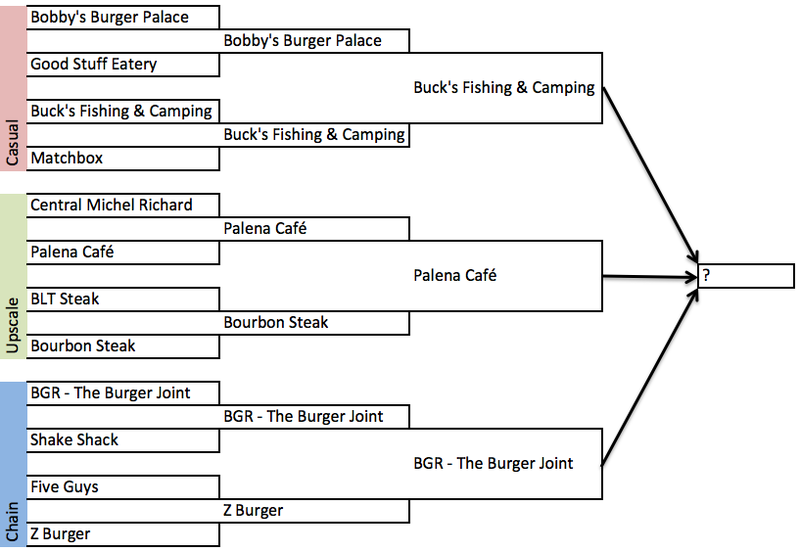 BGR delivers classic burger taste with surprising elegance, Buck's transports you away to the best campfire burger imaginable, but Palena delivers unmatched burger excellence. It kicks the humble burger into gourmet territory while remaining true to what makes a great cheeseburger great. It avoids the trappings of ostentation, while delivering something simple and satisfying. It is the Burger Madness 2012 champ. "Well Portland, Oregon and Sloe Gin Fizz. If that ain't love, then tell me what is, uh-huh..."
I can't drink a Sloe Gin Fizz without getting Loretta Lynn and Jack White's rollicking song "Portland Oregon" stuck in my head. 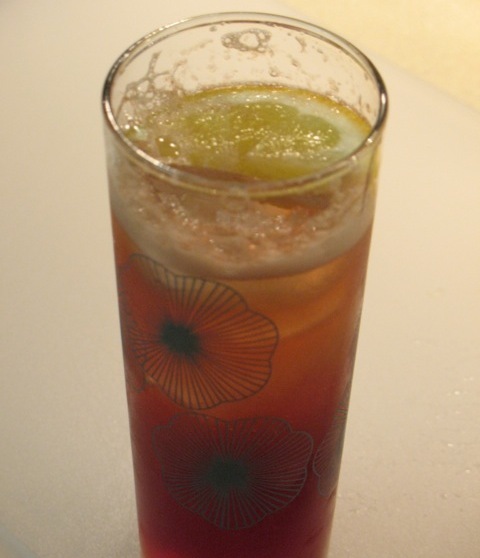 Although I hadn't actually had a Sloe Gin Fizz until recently. It strikes me as the kind of old fashioned drink that many people have heard about but never had. I decided it was time to correct that. The Washington Post's spirits columnist Jason Wilson wrote a nice piece about sloe gin 4 years ago when Plymouth Sloe Gin was first becoming available in the United States. It sounds like before then, Americans didn't have regular access to good sloe gin. Calvert-Woodley, where I bought the Plymouth Sloe Gin I used for this recipe carried that and a second clearly inferior variety. Some recipes for Sloe Gin Fizz call for raw egg white, but it's perfectly acceptable to make it without that as I did. It still gets fizzy from the topping of club soda. I adapted my recipe from that of the Washington Post, adding a little more simple syrup and some Angostura bitters. Some recipes call for powdered sugar instead of simple syrup and others use a blend of sloe gin and traditional gin. Combine sloe gin, lemon juice, simple syrup and bitters in a shaker with ice. Shake well until cold. Pour into a collins glass with ice. Top with club soda and, if desired, a lemon or orange wedge garnish. These burgers are challenging to judge against each other, for Buck's and Bobby's represent the extremes of their division. Buck's is definitely high-end casual: a full-service restaurant and bar known for its locally sourced, fresh ingredients. Bobby's is a chain restaurant that landed in the casual division because its price and service style is just a notch above the restaurants I put in the chain category. You gotta make tough choices when you do this kind of thing. 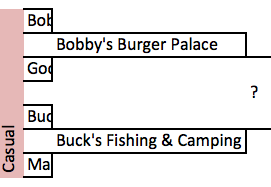 When it comes to the burgers themselves, both are good, but Buck's bests Bobby's on quality. It has a better bun, a better patty (love that smoky flavor) and better cheese (Bobby's American cheese did not impress). And yes, it's $10 more, so you're paying for that quality, so unlike in the upscale division, I can't make a value argument in favor of Buck's in this round, but nor would I exalt Bobby's, which is just slightly less expensive than say BGR over in the chain division, but not nearly as good. But just judging on taste, it comes out ahead. 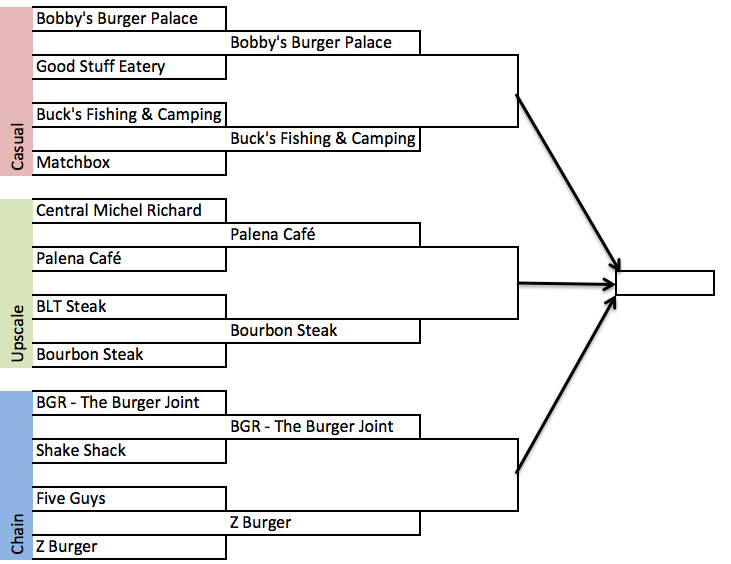 *Come back Saturday to find out which burger wins Burger Madness 2012! Last week, The New York Times ran a piece on odd kitchen gadgets that collect dust in the kitchen. Today, The Washington Post ran a similarly themed piece on doing spring cleaning in the kitchen: clearing out both those unused impulse purchases as well as those well-loved and worn items that need retirement or replacement. It's interesting to see what people find they don't use. I'm in total agreement with Tim Carman about the uselessness of the garlic press, but I think Stephanie Witt Sedgwick should really give her salad spinner another chance (she says its difficult to store; I store mine quite easily--inside the salad bowl). The article made excellent fodder for today's Free Range on Food chat (which I was really into today, firing off no fewer than eight comments). Joe Yonan emerged from his sabbatical to contribute a piece on veggie burgers. 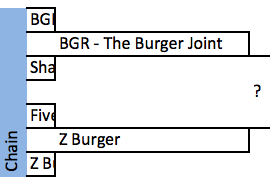 I have to say, I've never had a veggie burger, but I'm interested in trying one now--perhaps the one at BGR - The Burger Joint, for which Joe reprints a recipe, since their hamburgers are so good (best chain burger in my Burger Madness contest). Speaking of March Madness, Beer Madness is down to its final four, which includes a local pale ale: DC Brau's Public, which I got to sample last weekend during lunch at Sixth Engine. It's the top beer in the hop category. Nice. Recipe-wise, I wasn't really into anything this week. Jeff Gordiner turned in an interesting cover story on how Maloney & Porcelli, which became big in the mid '90s for its pork shank, is trying to reinvent itself for 2012. It's an interesting story about how a restaurant with once hot buzz tries to generate new interest after that buzz has died down. Melissa Clark's recipe for Polenta and Broccoli Rabe Lasagna looks really good. I've never heard of putting polenta in lasagna, which is an interesting idea for a vegetarian take on the dish. Apart from that, the section was pretty thin today. I was only mildly interested in the articles on porters and a new less-sweet orange liqueur. The Washington Post. Not a really hot week for either pub, but I loved both of the Post's cover stories today, especially the one of kitchen gadgets. These were both very good burgers, making this a little more challenging than the chains division. Both of the patties were tasty, juicy and clearly composed of high-quality beef. Both burgers have a nice simplicity, eschewing a mound of toppings for something simple. In the case of Palena, it's very simple: there are no toppings other than the cheese and sauce. For Bourbon Steak, it's cheese and shredded lettuce with sauce. I appreciate what Bourbon Steak is doing with their toppings: burgers loaded with big tomato slices and lettuce pieces can be annoying to eat, because they tend to allow everything to shift around in your hands and pretty soon you have a big mess. However, it's just a little too simple. The cheese is so mild that you don't really taste it and, if they're going to have only one vegetable topping, I bet they could come up with something more creative than shredded lettuce (caramelized onion jam? shredded pickles?). Palena, on the other hand, presents its simplicity with perfect balance. The cheese, rather than succumbing to the patty's flavor, harmonizes with it, delivering its truffle-flecked flavor as a perfect counterpoint to the beef. 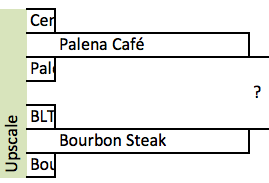 Value-wise, Palena's $12 burger is by far the least expensive of the upscale offerings (it's even less expensive than two of the casual chain burgers), so you're really getting a good deal for the price. I call this a a "random salad" because it's the kind of salad you just throw together with what's on hand when you aren't feeling really inspired to make something extravagant. Despite its origins, I thought it was actually quite lovely (tasty too). 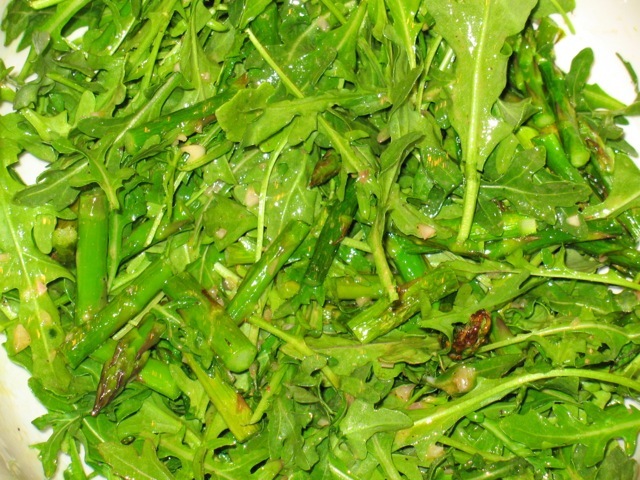 Combine everything in big salad bowl and enjoy. I'm doing this division final first, because it will be the easiest of the three. Quite simply, BGR makes a burger that doesn't taste like it comes from a chain. It was by far the best of the four, taking the flame-broiled taste of a Burger King sandwich and kicking it up (way up) with high quality ingredients. 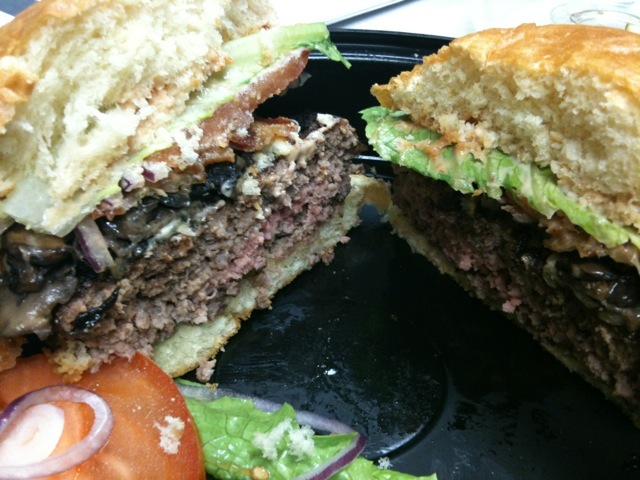 Z Burger, while tasty, could use some editing, as it sinks and falls apart against all the standards toppings. 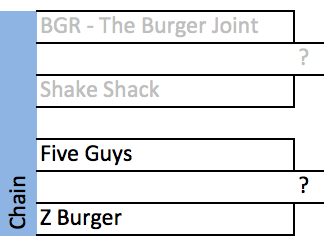 BGR was also a little more expensive--more in line with Bobby's and Good Stuff than the other chain burgers, all of which were priced around $4-$5. However, you can taste those extra dollars. It's worth it. Where I work, we have this unusual interest in competitive dessert-making. And considering that I like to cook and am fairly competitive, I'm all over it. The other week, to celebrate "Pi Day" (i.e. March 14 or 3/14, so named because pi, the mathematical constant, equals 3.14) we had a pie contest. As if that isn't perfect enough, the division I work in is named "P.I.," so we just can't help ourselves. I almost didn't enter the contest. I wasn't feeling inspired until the day before when it hit me...the perfect counterpoint to the surprisingly D.C. late winter heat wave: ice cream pie. 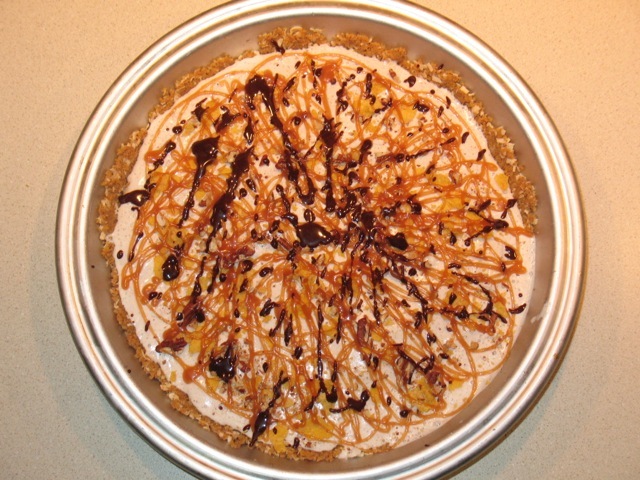 One of my favorite desserts my grandmother made when I was a child was ice cream pie. She had two versions: the first, which was so easy I learned to make it, was a crust of Rice Crispies, peanut butter and corn syrup filled with vanilla ice cream. 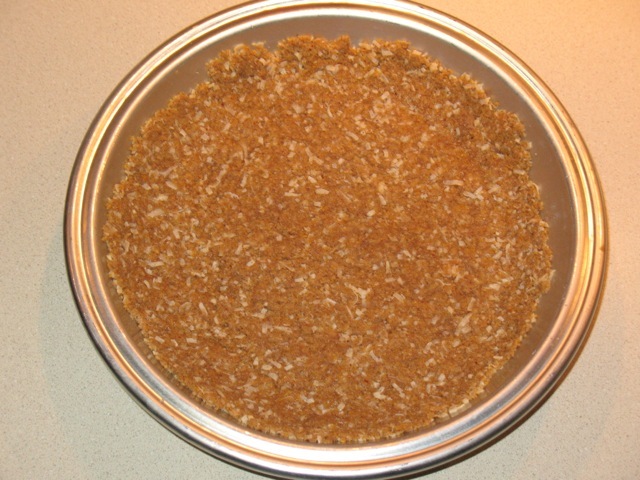 The other was a little more complicated, with a crunchy-sweet Corn Flake/coconut crust. That's the one I was interested in. But then Google showed me something even more enticing: an ice cream pie inspired by the popular Mexican restaurant dessert: fried ice cream. I used two recipes as reference points to develop this dish, one from the Fat and Happy blog and one from the discussion section of a Jamie Oliver blog. Those two recipes had the same amount of Corn Flakes, but vastly different amounts of brown sugar and butter, so I split the difference. I also used pecans instead of almonds, which I toasted first on the stove. Homemade ice cream would be amazing in this dish, but I wanted to keep it simple, so I used a cheater's method: mixing ground cinnamon into softened vanilla ice cream. It was still pretty tasty, but not as amazing as actual cinnamon ice cream (which I made for Thanksgiving last year, yummy!). To top the dish, I set aside a little bit of unground Corn Flake, pecan and coconut mixture, and made a simple caramel sauce. I still had some dark chocolate sauce leftover from the olive oil ice cream sundae, which I also drizzled on the pie. This was pretty tasty. I love the crunchy crust, which has a surprising lightness to it. And my coworkers seemed to agreed, as I won the best sweet pie award. 2. Toast pecans in a small frying pan over medium-low heat until fragrant and browned (if desired, set aside a small amount of pecans, Corn Flakes and coconut as a topping for the finished pie). Pulse pecans in a food processor until finely ground. 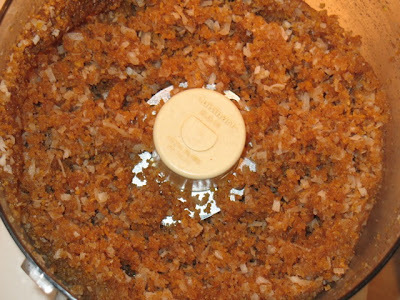 Add Corn Flakes, brown sugar and coconut and pulse until ground into crumbs. With the processor turned add, slowly add the melted butter in a stream. 3. 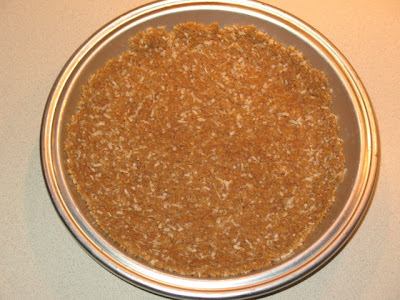 Dump ground mixture into a buttered pie plate. Using a spatula or your hands, press the mixture firmly and evenly across the bottom of the plate and partway up the sides. Bake in oven about 10 minutes to firm up the crust. Allow crust to cool and then put it in the freezer until cold. 4. 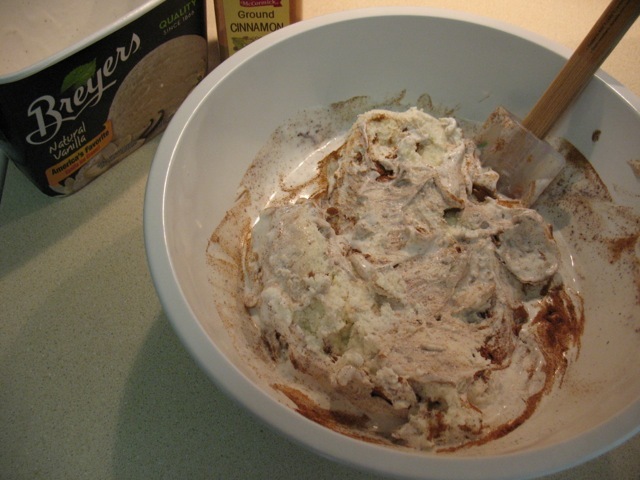 While the crust is cooling/freezing, set the ice cream out to soften. Put the ice cream in a large bowl, add the cinnamon and stir to combine. Once the crust is cold, spread the ice cream into the crust in an even layer. Top with reserved crust ingredients and a drizzle of caramel or chocolate sauce (or both!). Refreeze until ready to eat (set out about 20 minutes beforehand to soften ice cream before serving). This makes just under a cup of caramel sauce, enough to drizzle on the pie and have leftovers for other uses (like topping ice cream or cake). 1. 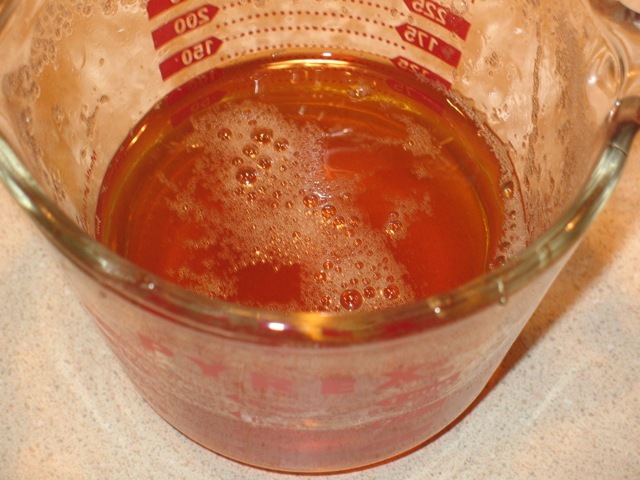 Heat sugar and water in a 2-3 quart saucepan over medium heat until the sugar dissolves and the mixture boils. Continue boiling until the mixture turns golden brown--watching carefully to avoid it burning too much. 2. Remove from heat and carefully (it will sputter) and slowly add the heavy cream in a steady stream while whisking cooked sugar. Return mixture to low heat and whisk for a couple minutes until smooth and thick. Set aside to cool and store in a container in the refrigerator. Here's where the bracket stands at the end of the initial rounds. 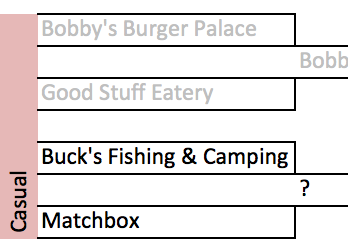 Definitely some surprises here, like how much I liked Bobby's compared to Good Stuff and that Five Guys, the largest chain in the competition, was not so stellar. I was underwhelmed by Shake Shack and pleasantly surprised by BGR - The Burger Joint. Buck's and Palena are longtime favorites, so I was happy to see they've remained consistently good. The New York Times ran a great piece this week about the Old-Fashioned cocktail in honor of the fifth season premiere of Mad Men. For those who watch the acclaimed AMC show, the Old-Fashioned is Don Draper's cocktail of choice, a classic mix of whiskey, bitters, sugar and water. 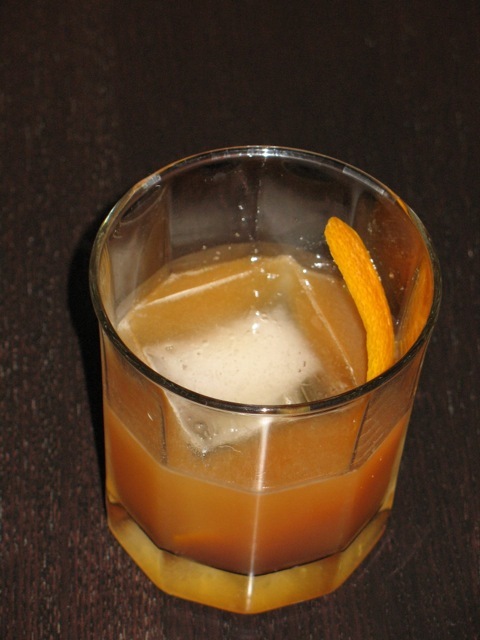 According to the Times' story, the drink was at its most popular during the late 1800s and early 1900s, referred to as a "whiskey cocktail" until the term "Old-Fashioned" was coined in 1886. Into the 1900s, what had once been a simple drink began to be adulterated by the addition of muddled fruit. Chris and I tried the Old-Fashioned a couple years ago and didn't like it. The drink was too strong for us, and the muddled cherry and orange didn't add much. But the Times' article inspired me to try again, with its reference to a new generation of Old-Fashioned cocktails that hearken back to its fruit-free roots while updating its profile with additional flavors. They mention Upper East Side bar JBird, which is serving a bevy of Old Fashioned cocktails, including a Honey-Nut Old-Fashioned, adapted from Marcus Tello's recipe from the Los Angeles bar The Varnish. I love Honey-Nut Cheerios, so I had to give this a try. The first challenge was how to infuse the spirit and which spirit to use. The recipe I found calls for peanut-infused bourbon, but I decided to use rye whiskey instead. I found a website that discussed the process of doing this (which unfortunately I now can no longer find). 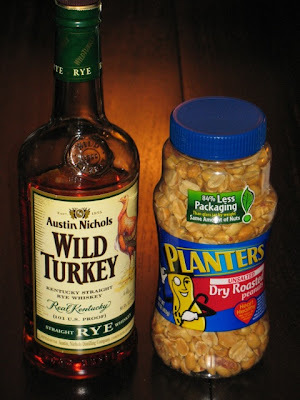 The writer pointed out that the peanuts will absorb some of the whiskey, so I used 11 oz. of whiskey hoping that would yield 8 oz. of infused spirit (it was just under actually, so I recommend using 12 oz.). I combined just over half a cup of peanuts pulsed a few times in a food processor with the whiskey in a large glass measuring cup and let it set in the 'fridge for a day. Then I strained the mixture with a mesh strainer to remove the large pieces (I let it sit for awhile to strain as much of the liquid as possible). At this point, the mixture was still pretty cloudy and I was afraid it might taste a bit gritty, so I strained it twice more through three layers of cheesecloth. Although the resulting whiskey was still cloudy, this removed a good deal of peanut sediment, which turned out to work just fine. Although my reference recipe called for honey, since I wasn't shaking the drink, I decided instead to use honey syrup, which would mix better with the whiskey when stirred. To make it, I combined equal parts honey and water and nuked it for a minute in the microwave (yes, I know the microwave may "damage" the honey, but considering it's being mixed with a potent alcoholic spirit, I don't think it will matter much). The resulting drink was pretty darn good. Strong for sure, but tasty. Both Chris and I liked it. You taste the honey and bourbon immediately with the peanut following through the aftertaste. Very nice. Combine peanut-infused rye whiskey, honey syrup and angostura bitters in an Old-Fashioned glass with ice. Stir to combine and serve with an orange peel garnish. Pulse peanuts in a food processor a few times to roughly chop them. Combine with rye whiskey in a container and let set in the refrigerator overnight. 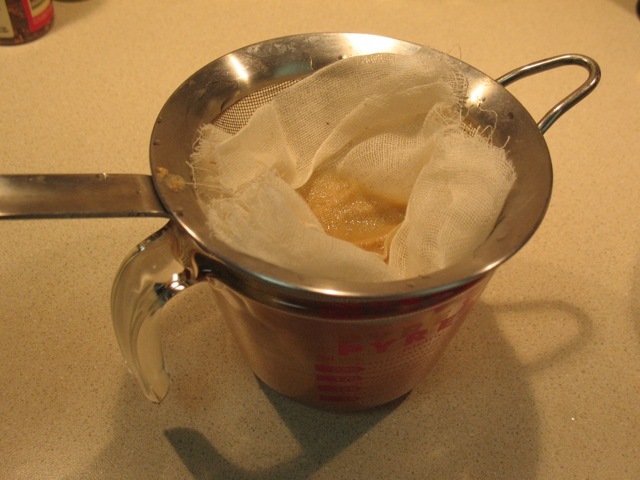 Strain the mixture with a mesh strainer to remove the peanut pieces and then slowly strain through cheesecloth to remove peanut sediment. This should yield about 8 oz. of infused whiskey, enough for four drinks. 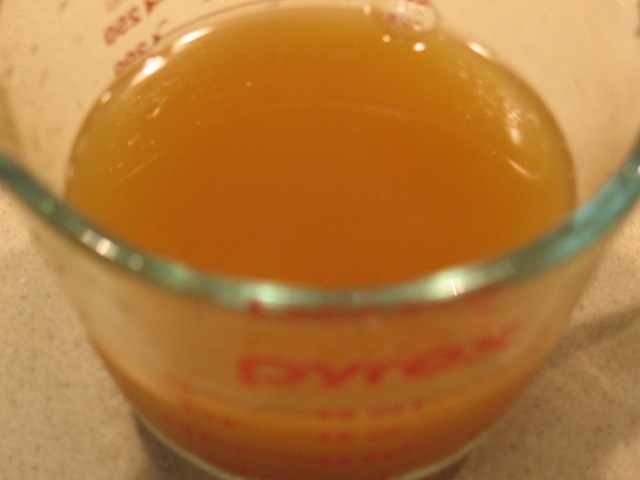 Combine ingredients in a microwave safe glass measuring cup and microwave on high for 1 minute. Stir and refrigerate to cool. Alternatively, heat in a saucepan until combined and store in refrigerator to cool. On Wednesdays it's easy to get out of bed, since I have The Washington Post Food section to look forward to. Other days, not so much, so I rely on a couple cups of coffee to rouse me. Today was a two-for-one as the Post featured a cover story and related recipes all about coffee. It's a great piece by Huffington Post assistant editor Rachel Tepper, a self-proclaimed coffee skeptic who, with the aid of Poste Moderne Brasserie's new chef Dennis Marron, goes in search of a cup of joe she might actually like. While I enjoyed their journey through the city, which included a stop at Chinatown Coffee, I was most interested in the accompanying recipes courtesy of Marron, which all sound very intriguing: Rib-Eye au Poivre Cafe, Vanilla-Coffee Prawns With Parsnip Puree and Garlic Kale, Wine- and Coffee-Braised Chicken With Glazed Vegetables and a dessert cocktail, the Elysium, made with coffee and a blend of three liqueurs. The rest of the front page is devoted to two meat stories, Jim Shahin's piece on lamb, featuring an enticing looking recipe for Grilled Southwestern-Style Lamb Kebabs, and David Hagedorn's special about pork, with recipes for ham and pork belly. Bonnie Benwick's Dinner in Minutes recipe is particularly intriguing this week: Chicken with Ginger and Orange Stuffing, which sounds refreshing and filling. Stephanie Witt Sedgwick's Nourish recipe sees salmon get a spicy kick in Orange-Chili Salmon with Baby Bok Choy. Lastly, there was a very lively discussion on today's Free Range Food section chat, including the possibility that I may have inspired a new cocktail at Poste--will have to follow up about that. Many people who love cooking also harbor a love for cooking gadgets. I'm one of them, although my small kitchen means that I have to be very careful about what I acquire. I try to stay away from specialty devices, but there are a few things I acquired with much hope but never use (among them a food mill, pasta pot with insert, and George Foreman grill). William Grimes' feature on such gadgets is a fun read, turning up such limited-use items as the salmon poacher, polenta maker and a pasta drying rack. Eric Asimov has an educational story about attending a tasting of 1982 Bordeaux wines, tracing contemporary developments in winemaking back to that apparently classic year. I've never had a red wine that old, which would be interesting to try. Recipe-wise, Melissa Clark's Spicy Pork Stew with Hominy and Collard Greens sounds tasty, as does David Tanis' Persian Jeweled Rice made with a blend of Asian flavors. Lastly, in a nod to this weekend's fifth-season premiere of Mad Men, Robert Simonson has a story about the history of the Old Fashioned, Don Draper's favored cocktail (for anyone reading Free Range, this is where I got the idea to infuse whiskey with peanuts). The Washington Post. There were great stories in the Times this week, but after reading them, my mind wandered quickly back to those exciting coffee recipes in the Post. Five Guys is a national chain, but it started locally in Alexandria, Virginia. Lots of people rave about it around here, but I have to say, I was not impressed. In fact, it was my least favorite burger in the contest. I had my Five Guys burger "all the way," meaning it came with ketchup, mustard, mayonnaise, lettuce, pickles, tomato, grilled mushrooms and grilled onions. Although it comes standard with two patties, I ordered the "little" version with just one, since that's more comparable to the other burgers. The burger had a decent balance of flavors. My medium-cooked patty was not too salty, however it was pretty flavorless. I liked the pickles and the lettuce was fresh, but the tomatoes were really anemic looking and about as devoid of flavor as you'd suspect. I like that sautéed onions and mushrooms are available at no extra cost, although the onions weren’t really very cooked. Bacon was crisp but not very smoky. Cheese was American, but not the kind that sticks to your mouth. The sesame seed bun was disappointing—doughy and not substantial enough to support all those toppings, making for a messy burger. 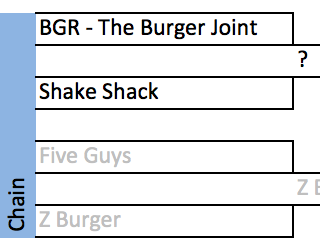 Z Burger is also a homegrown chain, although one that so far has only two locations (both in D.C.). Their menu appears designed to compete against Five Guys, as it comes standard with the same toppings, including fried onions and sautéed mushrooms. Unfortunately, it also comes with a lot of the same problems. The toppings are quite tasty--the vegetables are noticeably fresher than those I got at Five Guys and the bacon is better too. But they're too much for the slight bun, and the burgers here have a tendency to fall apart while you're eating them. The patty is so-so, not too salty but also not very flavorful. Z Burger. I'm not really blown away by either of these burgers, although the overall better flavors gives Z Burger the advantage. As one would expect, New York and San Francisco dominated the top awards, garnering Outstanding Chef nods in NY for David Chang (Momofuku Ssam Bar) and Daniel Humm (Eleven Madison Park) and in SF for Gary Danko (Restaurant Gary Danko). Outstanding Restaurant nominees include New York's Balthazar and Blue Hill and San Francisco's Boulevard. D.C. was well-represented in the Mid-Atlantic region chef category, with nominations for Johnny Monis (Komi), Peter Pastan (Obelisk) and Vikram Sunderam (Rasika), as well as across-the-river chef Cathal Armstrong (Restaurant Eve in Alexandria). Also honored from D.C. was Fiola, in the Best New Restaurant category. Notable nominees from other parts of the country include Stephanie Izard (Girl & the Goat) in the Great Lakes region (which I've heard is very good), April Bloomfield in New York City (The Spotted Pig), Hugh Acheson in the Southeast (Five and Ten). Top Chef judge Hugh Acheson scored an American Cooking nomination for his A New Turn in the South: Southern Flavors Reinvented for Your Kitchen. A personal favorite, Jeni Britton Bauer's Jeni's Splendid Ice Creams at Home, was nominated in the Desserts and Baking category. Nominated in the Professional POV category is the much talked about Modernist Cuisine: The Art and Science of Cooking by Nathan Myhrvold with Chris Young and Maxime Bile. Also nominated in this category was the cookbook for last year's Best Restaurant winner, Eleven Madison Park by its chef Daniel Humm. In the Beverage category, I was surprised that the PDT Cocktail Book didn't get a nod (although PDT itself was nominated for Outstanding Bar Program), but pleased to see Brad Thomas Parsons' Bitters: A Spirited History of a Classic Cure-All, with Cocktails, Recipes, and Formulas. In the Writing and Literature category, I was pleased to see nominations for two books I've read in the last year: Chef Gabrielle Hamilton's Blood, Bones and Butter (Hamilton, who helms the East Village restaurant Prune, won New York City Chef last year), and Tom Mueller's Extra Virginity, which I wrote about extensively during olive oil week. Gabrielle Hamilton received a second nomination for her Bon Appetit essay "Blood, Bones & Baked Eggplant." Sadly, neither The New York Times or The Washington Post received any nominations this year, although Washingtonian writer Todd Kliman received a nomination for his article "The Problem with Authenticity" in the first issue of Lucky Peach. In the Individual Food Blogs category, the nominees are Bunkycooks, Cannelle Et Vanille and Poor Man's Feast. In a pinch, you can make a decent dish with store-bought gnocchi, such as what Whole Foods sells. But making it yourself is so much more satisfying. 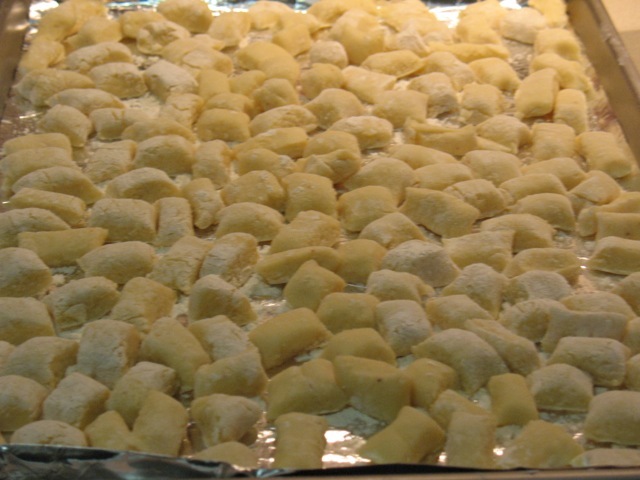 Gnocchi that are not well made (and that includes most store varieties) can be dense, weighty things. The gnocchi in this dish are as soft as the little pillows they resemble. That doesn't make them any less filling. A half a bowl of gnocchi is akin to a full bowl of pasta. 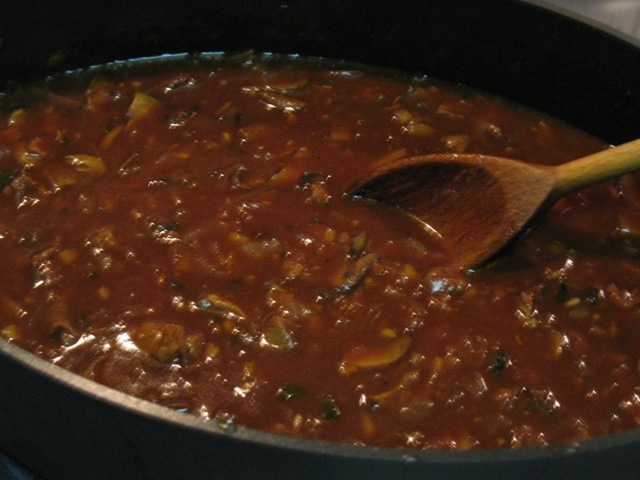 For this dish, I wanted a rich, meaty sauce with silky smooth texture. I turned to a Bon Appétit recipe for inspiration, although I made some key changes, like omitting a lot of the extra fat (the recipe calls for a full cup of fat, which is really unnecessary given that you can take advantage of the rendered fat from the meat to cook the vegetables). Even having cut that and the cream from the gnocchi dough (cream, really? 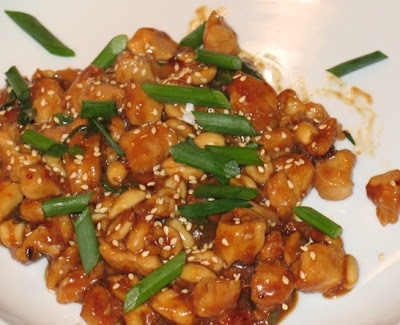 ), it's still a pretty rich dish. I also changed the meat mixture from ground chuck, pancetta and prosciutto to sausage and pancetta, reducing its meat content from about 2.5 lbs. to less than a pound (11 oz. to be precise). Since I wanted a focus on meaty flavors, I omitted the diced tomatoes and added extra mushrooms (I chose cremini) for their color and flavor. As we're in that still-winter-waiting-for-spring period, I balanced this hearty, wintery dish with a salad that nods toward spring: arugula and broiled asparagus with a shallot-lemon dressing (similar recipe here). 1. Heat a large, deep skillet or a dutch oven medium heat. Add the sausage, breaking up as it starts to brown. After a couple minutes, add the pancetta, continue cooking until the sausage is brown and the pancetta has started to crisp (about 5 minutes). Remove meat from pan. 2. Add onion to pan and saute over medium heat. After a couple minutes, add the garlic and then the cremini mushrooms. 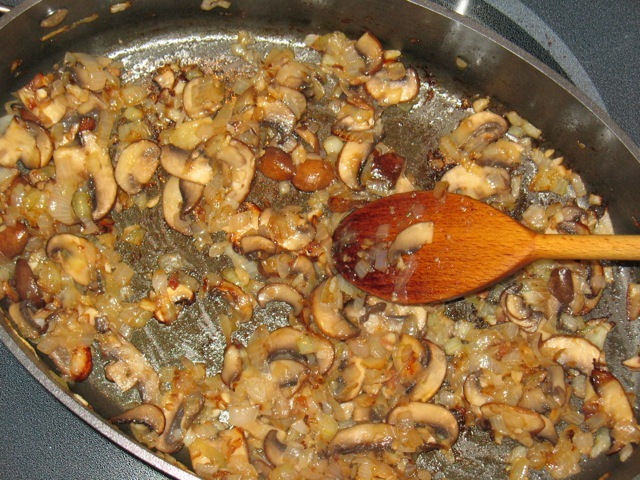 Continue sautéing mixture until the liquid the mushrooms have given up evaporates and they and the onions have browned, about 15 minutes. 3. Add the dried mushrooms, sage and 1 cup of the beef broth. 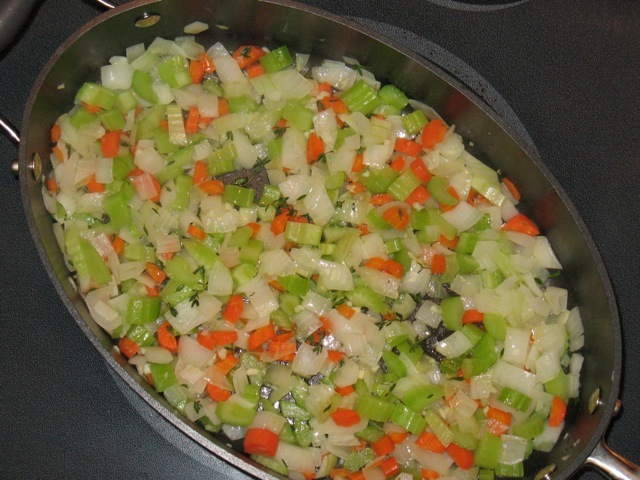 Reduce heat to medium-low and simmer until the stock has been absorbed (about 4 minutes). Add a second cup of beef broth and continue simmering until absorbed (another 4-5 minutes). Add the remaining two cups of broth and the tomato paste and simmer until reduced, adding another 2 cups of water (1 cup at a time) or more if needed, letting the sauce simmer about 30 minutes total. Sauce should be thick and velvety. 4. Prepare a pan to steam the potatoes (I use a 4-quart saucepan with a steamer insert filled with water just below the base of the steamer). Steam the potatoes about minutes until soft. Set aside to cool slightly and then mash with a potato ricer into a large bowl. Once cooled, combine with the egg, salt and nutmeg. Then add most of the flour, reserving about 1/4 cup for the work surface. Combine with a spoon or your hands until the dough comes together, careful not to overmix. 5. Transfer the dough to a floured surface and divide into 8 parts. With your hands, roll each piece of dough against the floured surface to form long ropes about 3/4-inch thick. Slice ropes into pieces about 1/2-inch thick. 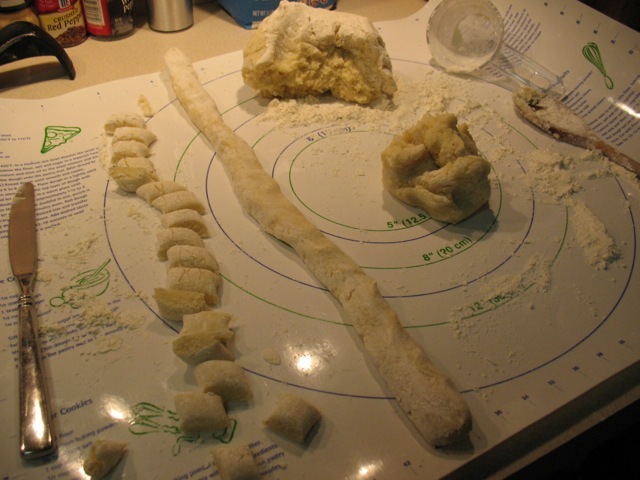 If desired, roll the dough around the back of a fork to make ridges on the gnocchi. 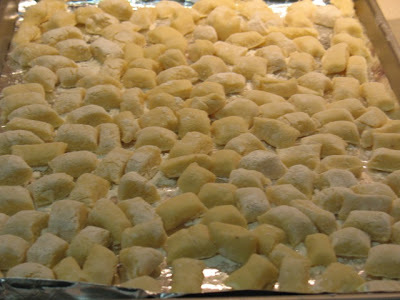 Place the formed gnocchi on a baking sheet dusted with flour. 6. Bring a large pot of water to boil. Cook the gnocchi in batches, about 1/3 at a time, boiling them for about 5 minutes. Use a slotted spoon to transfer them to a baking sheet sprayed with olive oil until ready to serve. 7. 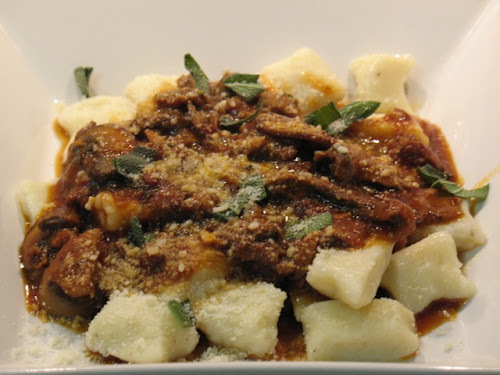 Serve the gnocchi in a bowl with a couple big spoonfuls of ragu topped with parmesan a sprinkle of fresh sage. 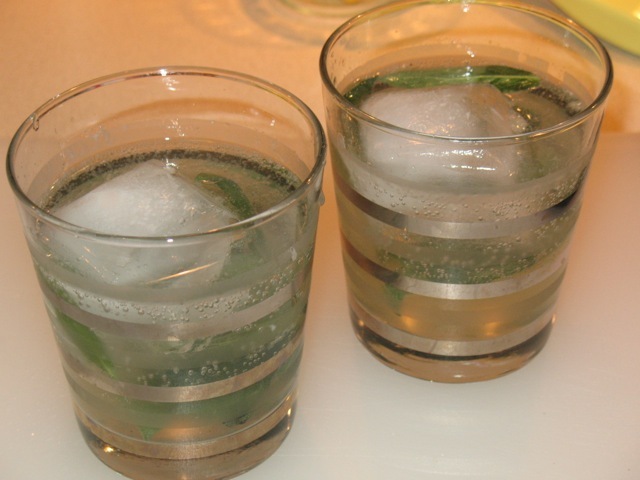 Mint is a favorite cocktail herb (see Mojito, Mint Julep), but others are fairly rare. Sage is a wonderful one though, its soft, plump leaves are perfect for muddling, imparting its sweet, earthy flavor. 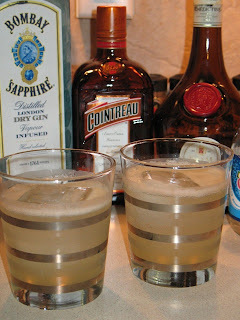 It pairs nicely with the subtle grapefruit flavor of St. Germain elderflower liqueur. Squeeze lemon juice into a rocks glass. Add sage and muddle. Add ice, simple syrup, vodka and St. Germaine. Top with club soda and stir to combine. The Washington Post started off this week's Food (Section) Fight! with a black mark: my paper wasn't delivered on time this morning. In fact, it was about an hour late, arriving just as I was walking out the door. So instead of getting to enjoy it over breakfast--which I look forward to every Wednesday morning--I was contorting myself on a crowded Metro train trying to read a broadsheet paper (this is why people buy iPads). Aargh! Nonetheless, I know that's not the Food Section's fault, and this contest is about them and their content. But still, it set the tone, and the content isn't going to pull them up this week. It wasn't bad though. I enjoyed Emily Horton's article about the mortar and pestle, a kitchen tool I've heard great things about but still lack. Her piece has pushed me to seriously consider getting one (I added this one to my wishlist), and I appreciate her discussion about which types work better for certain functions. The other front page story, about Baltimore chef Spike Gjerde, didn't really interest me, although his recipes on page E8 sound good, especially the Sunchokes Braised in Butter and Bay Ice Cream (made with fresh bay leaf). In fact, recipes were a strong point of both the Post and the Times this week: I also like Bonnie Benwick's recipe for Salmon and Sushi Rice with Hot, Sweet and Sour Asian Sauce (perfect for Monday fish night) and Stephanie Witt Sedgwick's Toasted Israeli Couscous Primavera, which has flavors similar to a pasta dish I love to make and am looking forward to once the vegetables are in-season. In a column about LUPEC DC, an association of women bartenders, Jason Wilson offers up two cocktails that sound great: The District, made with rye whiskey and ginger liqueur, and Her Lips Were Devil Red, a tequila-vermouth cocktail named after a lyric from Ricky Martin's infamous 1999 #1 hit. It was also a great week for The New York Times, which led with a fascinating cover story by Julia Moskin about the profession of the celebrity chef's ghost writer. She tells some great stories, unfortunately without naming names, although she does unmask Gwyneth Paltrow as using a ghost writer, which caused a coworker to quip "I told you she was a phony," since I'd recently been praising her often food-themed GOOP newsletter. There's so much good content this week, it's hard to say where to go next. Perhaps to Pete Wells' review of Acme, a once Cajun-themed restaurant that now turns out modern Danish cuisine to a rather fashionable crowd. Andy Newman's piece on Grand Forks, ND, food critic Marilyn Hagerty is fun. In case you haven't heard, Hagerty wrote a not-scathing review of her town's new Olive Garden, which has become a viral Internet sensation. Although it's popularity smacks of elitism, I think it's rather cool that a small town paper has enough interest in dining to support a food critic. And I disagree with those who think she "gushes" about the Olive Garden (read the article; she's positive, but she's not gushing, and some say she's just being polite, given how little time she spends describing the food). Eric Asimov's article about Oregon chardonnays is interesting. I recently sampled some and just happened across one of the bottles described in the article when I went to get lunch at Cowgirl Creamery today. Sounds like something I should write about. The Coq au Vin Blanc recipe that accompanies the story sounds amazing. Speaking of recipes, lots of other good ones this week: Leek and Potato Souffle with Ham and Fontina sounds really tasty, and I like the cabbage three-ways presentation on the back, with recipes for Cabbage, Potato and Leek soup, Crunchy Vietnamese Cabbage Salad With Pan-Seared Tofu and Pasta with Caramelized Cabbage, Anchovies and Bread Crumbs. Even Mrs. Romney's Meat Loaf Cake sounds interesting. Lastly, the article about the new pastry chefs at Le Bernadin and Jean Georges is interesting, giving a glimpse behind the scenes at two of New York's most famous eateries. It's a good week for both sections, but the content-packed New York Times comes out on top. 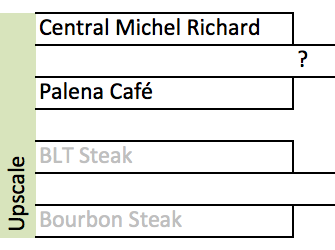 In this round, I pit Central Michel Richard, winner of the 2008 James Beard Award for best new restaurant against Palena Cafe, the casual front-end of Palena, the Cleveland Park restaurant helmed by the 2007 James Beard Award winner for best Mid-Atlantic chef, Frank Ruta. The Central burger arrives and smells delicious. It's pretty thick, with a juicy medium-rare patty, cheddar cheese, bacon, caramelized onions and a little dab of mayo, but the rounded bun nonetheless holds up against these fillings. An innovative touch is the thin layer of toasted bun between the top bun and the fillings to help keep bun-sogging at bay. The meat is very flavorful and perfectly cooked. The smoky bacon is tasty, although not as thick as i'd like. This is a solid burger that would probably go far in this competition if it didn't have to compete against Palena. The Palena burger arrives comparatively unadorned: there are no vegetables on it and, although there are pickles on the side, they aren't meant to be put in the sandwich. The lack of toppings says confidence, and it's deserving. The inch-thick patty packs a lot of flavor. The garlicky house mayonnaise and truffled cheese add counterpoints without overpowering the beef. The bun feels soft and springs back to the touch, but is hefty enough to not feel soggy in the slightest. This burger doesn't need the fanfare of grilled onions or sesame seeds because the few choice flavors serve to subtly punch up the already perfectly cooked beef patty. It's also nice that at $12, it's a real bargain compared to the other upscale burgers. Palena Cafe. These are both excellent burgers that pack a lot of flavor. 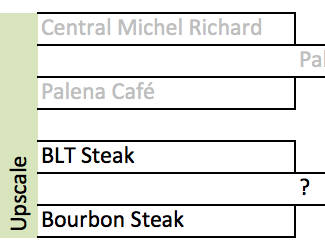 Central's has some interesting touches, but Palena's is so superior that it doesn't need them. In a recent article marking the end of his stint as the New York Times' interim food critic, Eric Asimov, touching on the changing nature of food trends, remarked that the big trend was once "salmon and lentils." 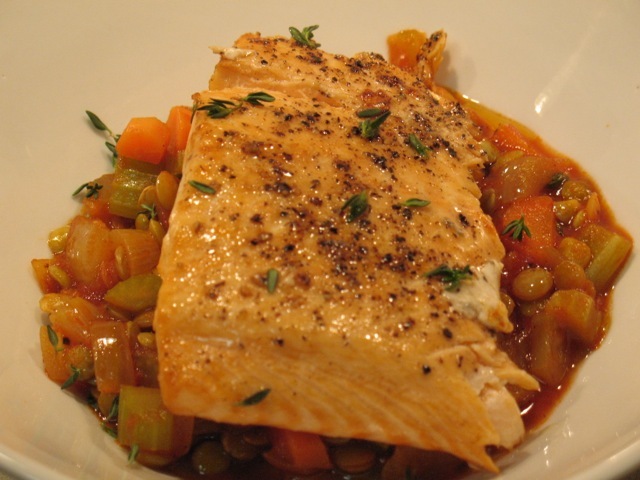 I guess I missed that trend, but reading it made me think that salmon and lentils sounds like a pretty good combination, so I decided to give it a try. I've never cooked lentils before, which seems kind of strange. I guess I'm not generally drawn to dried beans or legumes, which is a shame. I used to make a fabulous black bean soup with beans that I would soak overnight before cooking with generous portions of onions, olive oil, cumin, oregano and ham hocks. Mmm, gotta make that soon. I'm getting off track...back to lentils. I found a Food Network recipe from Ina Garten that looked like a good starting point: lentils combined with sautéed aromatics cooked with chicken stock, tomato paste and wine. In one of those kitchen "oopsies" that turns out to work just fine, I accidentally added the full can of tomato paste instead of just the two tablespoons the recipe called for. But it turned out great that way. Chris remarked that he really enjoyed the combination of salmon and tomato sauce, as did I. 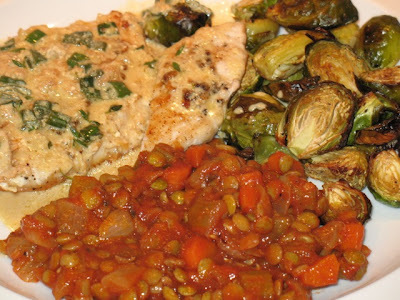 As a side, it's a pretty versatile combination, I served the leftovers a couple days later with chicken covered in a sauce inspired by Washington Post Food Section Editor Bonnie Benwick's recent Chive Chicken recipe and some roasted Brussels sprouts. 1. 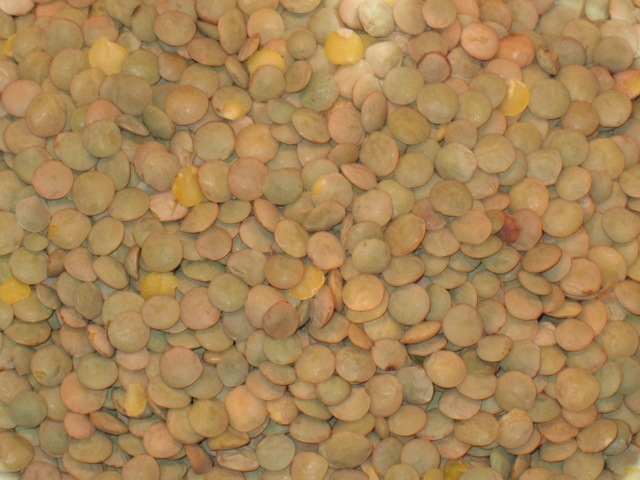 Put the lentils in a heat-proof bowl and cover with boiling water (about 3 cups). Set aside for 15 minutes, then drain. 2. Heat olive oil in a saute pan, add the onions, celery, carrots, garlic thyme, salt, and pepper and cook over medium heat for 10-12 minutes until the vegetables are softened. Add the drained lentils, chicken broth and tomato paste. Cover and simmer over low heat for 25-30 minutes, until the lentils are tender. Add the vinegar and season, to taste. Conventional wisdom says that crispy thin-crust pizza is one of those foods best enjoyed at restaurants. The thin, crispy, satisfyingly charred crust you get at a good pizzeria is difficult, if not impossible to replicate without a pizza oven. Professional brick ovens cook much hotter than a home oven, which often tops out at around 500 degrees (and takes a very long time to get that hot). Based on most recipes for making pizza at home, the best you can hope for is chewy soft crust or maybe a crispy but not charred crust if you use a pizza stone--a heavy, cumbersome thing. Well, I wasn't going to settle for that. I was determined to use my modest home oven to deliver a thin-crust pizza with a crispy and charred crust with the toppings nicely blasted as well. The major culprit is the pan. When a pizzeria puts a pizza in a brick oven, it sits right on the oven bottom which is already searing hot, making the underside of the crust crisp and charred. At home, most people make pizzas on baking sheets. If you assemble the pizza on a cold baking sheet and pop it in the oven, the crust will bake but not become crispy on the bottom (preheating a baking sheet is a bad idea, since it can warp). To address this problem, the home cook can turn to a pizza stone, which is preheated and then the assembled pizza is put on top. Since you don't want the pizza stone sitting on top of the oven getting cold while you assemble the toppings on it, you have to transfer the pizza onto it using a pizza peel, that big wooden oversized spatula-looking thing. That sounds like a real hassle to me and, as a small-kitchen cook, I just don't have the space for that stuff. An idea hit me: why not use the broiler to char to crust? If the broiler can char many other things quite successfully without producing a lot of smoke, couldn't it do the same for pizza? I searched the web to see if anyone else has attempted this and didn't find anything. People are using their broilers to char their toppings, but I didn't see anyone who'd attempted to use it for just the crust (I did read a story about someone who used the broiler to preheat their pizza stone, which caused the stone to split in two, further assurance that my decision to not buy a pizza stone is sound). My plan was this: 1) bake the crust in a really hot oven, 2) For the last two minutes of baking, turn on the broiler to char the crust, 3) take the baked crust out of the oven, flip it over, and top it, 4) return the pizza under the broiler to melt the cheese. I kept the dough simple, using Mark Bittman's recipe of flour, yeast, salt, olive oil and water, mixed in a stand mixer. Once kneaded, the dough is soft and pliable. 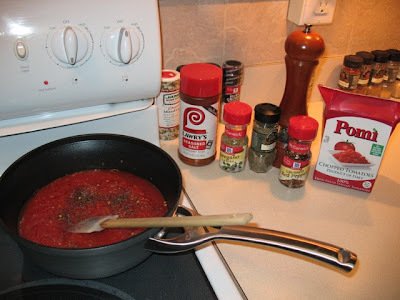 For the tomato sauce, I sautéed a couple of cloves of minced garlic in olive oil and then added a container of Pomi chopped tomatoes, dried oregano and thyme, a pinch of red pepper flakes, and seasoned salt and fresh-ground black pepper. 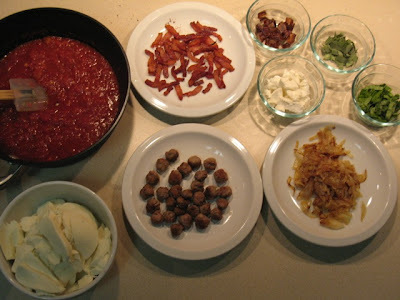 For the toppings, I wanted a meat, a fresh herb, and something sweet for each pizza. 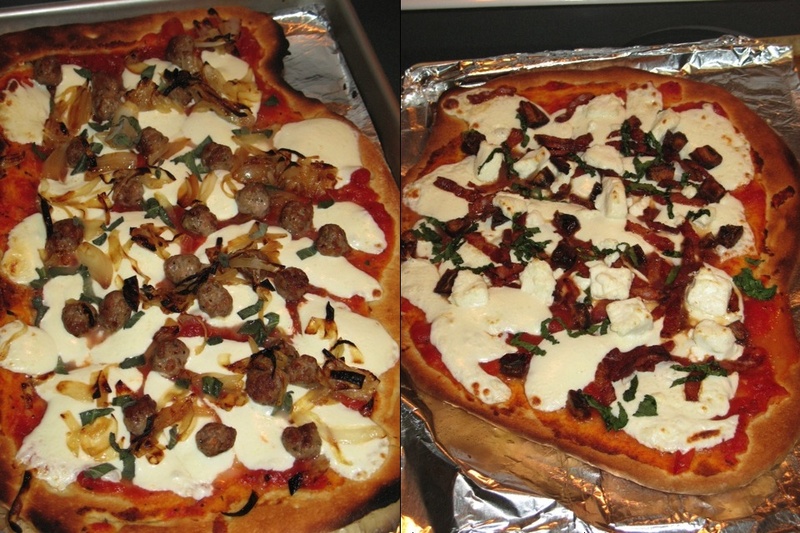 Variation one was Italian sausage, caramelized onion and sage. 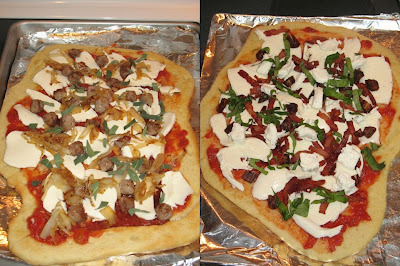 Variation two was bacon, dates, basil and goat cheese. 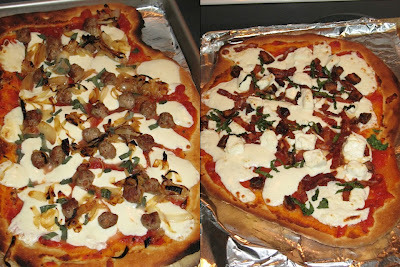 Both pizzas had tomato sauce and fresh mozzarella. You can shape the dough by rolling it out or just using your hands. After dividing the dough into two balls, I rolled each one out a little bit and then used my hands to shape it further. You can do this in the air: toss the dough back and forth between your hands, and its weight will stretch it out. This makes the middle thinner than the edges, which is good for making the edge crust a little thicker. I'm not very good at getting an even shape, and I aim for something a little oblong to maximize space for toppings. After baking the dough for about 10 minutes, I turned on the broiler and broiled each crust for about 90 seconds. I had to watch it carefully, since it can easily go from being nicely charred to inedibly burnt. The results were as good as I'd hoped for, especially the crust on the right in the picture below, which was more uniformly browned (that dark patch on the left may look ominous, but it wasn't too burnt--it was good). 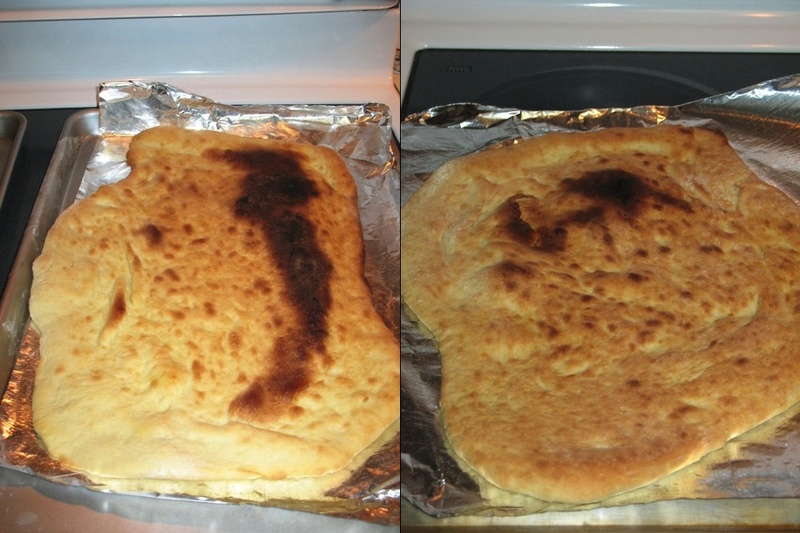 After the broiling, I flipped both crusts by first putting a piece of aluminum foil on top of the charred dough and then an inverted baking sheet of the same size as the one the dough was baked in. Then I carefully inverted the whole thing so the charred side would now be on the bottom of the second baking sheet. 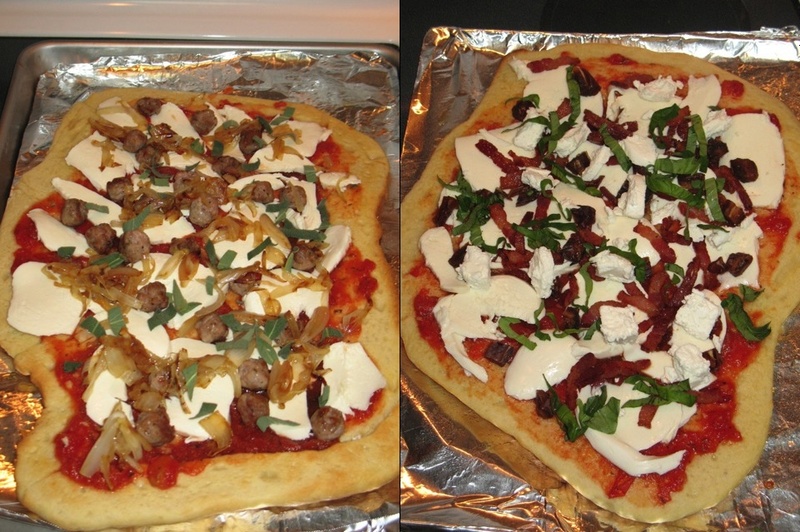 I layered the toppings on each pizza and then put them back in the oven under the broiler to finish. The last broil is to warm the toppings, melt the cheese, and char the exposed edge crust. This isn't enough time to actually cook the toppings, so to the extent they need to be cooked (like the meats and the onions), that should be done separately. The results were good. Because the crust was baked by itself, the whole thing was pretty crispy--even the side that touches the toppings, which would normally be a little soft. The flavor was good though and I got the char I wanted on the crust. Sauces: use the tomato sauce above or try pesto, barbecue sauce, pureed roasted butternut squash, or omit the sauce to make a "white" pizza. Meats: Italian sausage (mild or hot), bacon (sliced or slab), pancetta, Canadian bacon, pepperoni are all good (be sure to cook the raw ones completely first). 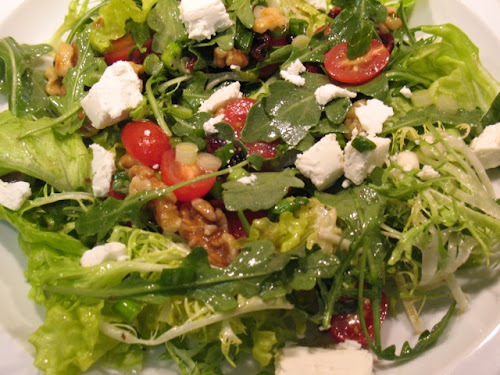 Other: mushrooms, olives, pine nuts, walnuts, figs, dates, fresh herbs (basil, sage, oregano, etc. ), the possibilities are endless. 1. In a stand mixer, using the paddle attachment, combine the flour, yeast and salt. Add the water and then the olive oil and mix until the dough forms a ball and is sticky to the touch. If needed, add additional flour if too sticky or additional water if the dough is still dry (it should come together quickly, like 30 seconds quickly). 2. Transfer the dough to a flour surface and knead, adding with flour hands to form a smooth, round ball. 3. Transfer the dough to a large, oiled bowl and cover the bowl with plastic wrap. Let the dough rise at room temperature for about 2 hours. If not using immediately, you can refrigerate it at this point. 1. Heat olive oil in a saucepan over medium heat. Saute the garlic until soft and fragrant (but not brown). Add the tomatoes, herbs and spices and reduce heat to simmer about 10-15 minutes until the flavors and combined and the sauce has thickened. 1. Position an oven rack to the highest position about 4-5 inches from the broiler (depending on the size of your baking sheets, you may not be able to bake both pizzas on the same level so, if needed, position the second rack about two notches down). Preheat the oven to 500 degrees (for many ovens, this will take a very long time, so be sure to provide time for heating the oven sufficiently). 2. 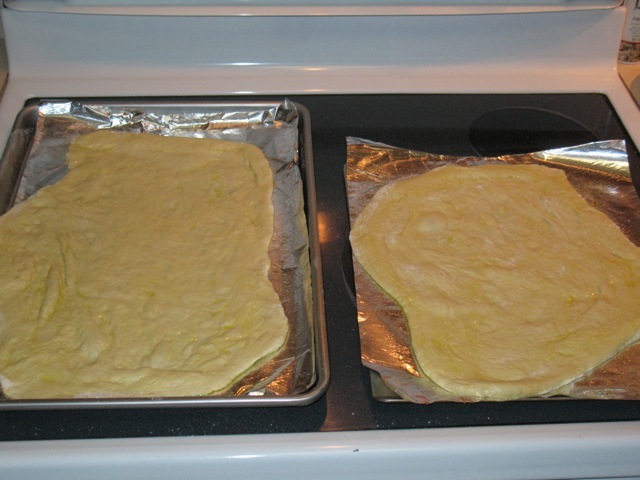 Prepare baking sheets for pizza (I put a piece of aluminum foil down on each sheet and sprayed it with olive oil). Have a second backing sheet of the same size ready for each pizza. 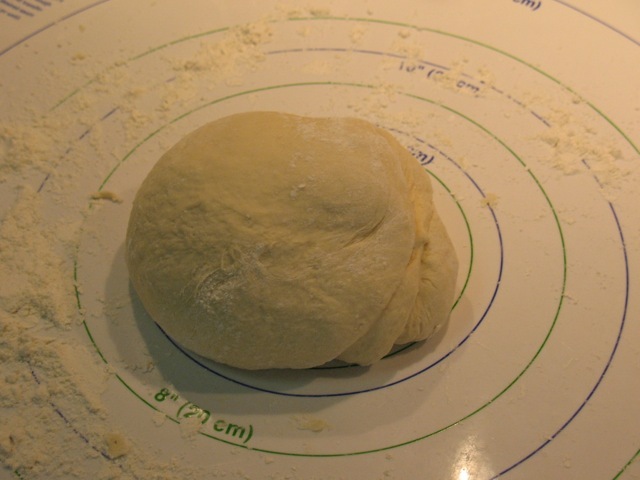 Divide the pizza dough into two balls and allow to rest on a floured surface for about 20 minutes. Roll doughs out slightly and then shape by hand. Place shaped dough on baking sheet. Spray or brush top of dough with olive oil. 3. Bake dough in oven for about 10 minutes. Turn on oven broiler and broil each dough under the broiler for about 90 minutes until evenly browned and charred in places (watch it carefully during the broiling). 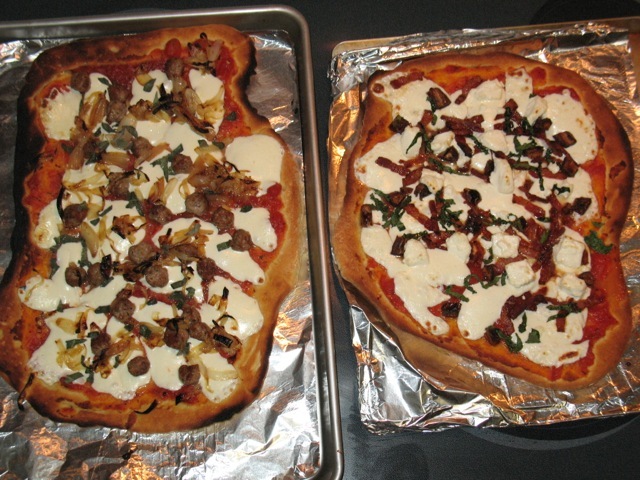 If broiling crusts separately, set aside second crust until ready for broiling. 4. Remove broiled dough from oven. Place an oiled baking sheet (or an oiled piece of foil and a baking sheet) upside down on top if cooked dough. Carefully, using oven mitts, invert the two baking sheets to transfer crust from one sheet to the other. The charred side of the crust should now be face-down on the second pan. 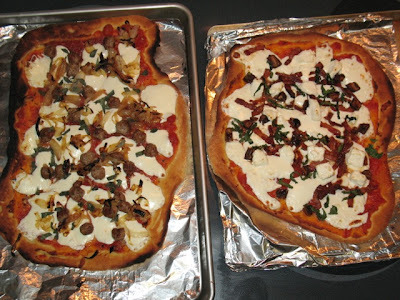 Layer toppings as desired onto crusts (I like sauce first, then cheeses, meats, vegetables and herbs). Return topped pizza to oven broiler and broil until cheese is melted and browned in places (about 2 minutes, watched continuously to prevent burning). Remove pizza from oven and serve. When it comes to giving you a burger that's close to an outdoor grill experience, both of these restaurants excel at delivering on their names. Buck's in particular, serves up an appropriately smoky burger with a meaty, grill-flavored patty and smoky bacon. If that's not enough smoke, you can even get a side of smoky mayo. It's a substantial sandwich, with a hearty bun served with fresh lettuce and onion. Matchbox's burger (shown above) is also thick and meaty. The toppings are numerous, but they play well together, especially the combination of the sautéed mushrooms with gorgonzola and bacon (blue cheese and bacon are always a nice combo). This is a good burger, but its downfall is the bun. Matchbox uses a buttery role (brioche). When combined with what is already a greasy meat, it's a lot of grease for one sandwich. Buck's Fishing and Camping. Although I really like the Matchbox burger, it's greasy bun sinks it against the perfectly composed burger at Buck's. Surely if you watch ABC's Happy Endings you'll agree with me that it's currently the funniest show on network television. I've come to really love the increasingly ridiculous antics of the Chicago-based sixsome of Brad, Jane, Alex, Penny, Max and Dave. In a recent episode, Dave, a food truck entrepreneur, decided to open an evening speakeasy, serving creative cocktails out of his Steak Me Home Tonight truck. He served his friends a drink he called a Whore's Bath (which Penny immediately thought was a comment about her). What could the drink be? The only clues offered in the show were that it was a gin-based drink and judging from the looks of the drinks the gang was sipping from Dave's mason jars, it was colorless but cloudy and on the rocks. So gin, of course, went in first. To live up to its name, I wanted something tart but refreshing, which steered me toward citrus flavors. For some extra character--as well as a bit of deviousness--I included some Benedictine liqueur, the sweet, herbal liqueur produced by Benedictine monks with a super secret recipe. This also substitutes for the turpentine Dave said was in the drink which, in real life, is a poison. Shake gin, Benedictine, Cointreau and grapefruit juice with ice. Pour into rocks glass with ice and top with club soda.